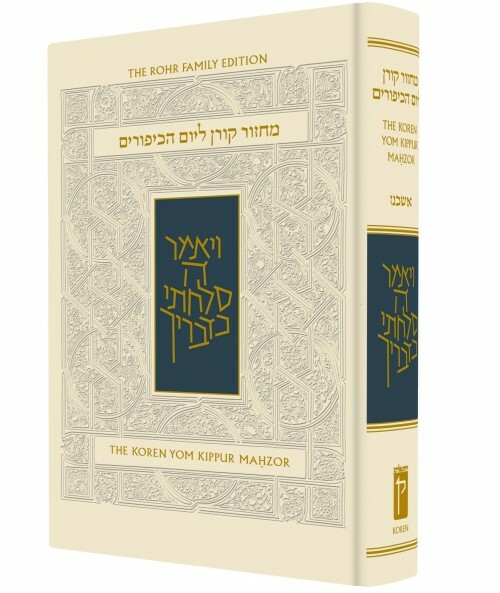 The Koren Sacks Yom Kippur Mahzor is a companion to the Koren Sacks Rosh Hashana Mahzor, and one volume among a growing body of work produced by the celebrated Koren-Sacks partnership. The Koren Sacks Yom Kippur Mahzor marries the sophisticated graphic approach for which Koren Publishers Jerusalem is renowned with the insight and eloquence of Rabbi Sacks, one of today’s leading Jewish thinkers. The Koren Sacks Yom Kippur Mahzor brings out the inner meaning of the Yom Kippur prayers by aligning the Hebrew and English texts, highlighting key words, distinguishing poetry from prose, and using beautiful fonts designed by master typographer Eliyahu Koren. Rabbi Sacks translation brings readers closer than ever before to the authentic meaning of the Hebrew text, while his introduction and commentary provide new ways of understanding and experiencing the Yom Kippur service. Includes additional Piyutim and Selihot as well as the full text of the Mishna Yoma with commentary.